Erection of a plaque in the school's ANZAC memorial garden to honour the three ex-students killed in WW1. Creation of a set of murals with a WW1 theme, on a small building behind the memorial garden at the school. Research of soldiers from Redhead who were in WW1. 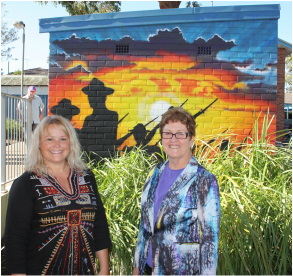 The murals and plaque were unveiled at the school's ANZAC ceremony on Friday 1 May 2015. The striking western mural shows silhouettes of soldiers against a sunset and echoes words from the Ode of Remembrance. "At the going down of the sun and in the morning we will remember them." The eastern mural depicts ANZAC Cove and features Matron Grace Wilson, who arrived on Lemnos Island shortly after learning of her brother's death at Quinn's Post in Gallipoli and was the principal matron of the 3rd Australian General Hospital from 1915 - 1919. 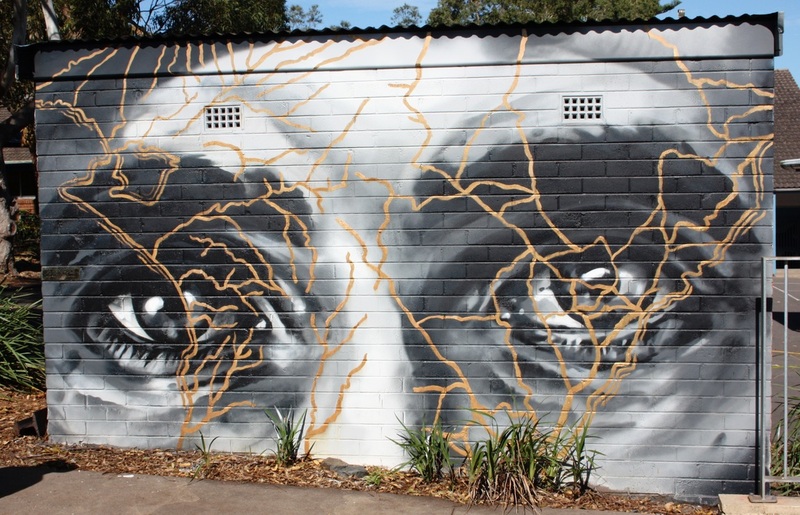 The northern mural features maps of ANZAC Cove and the Hunter Valley over a pair of searching eyes. The southern mural depicts simple poppies as an expression of hope. Poppies were in flower when the ANZACs landed in 1915. The plaque and the northern mural can be seen from Burns Street, but if you would like to have a closer look, you need to sign in as a visitor at the school. 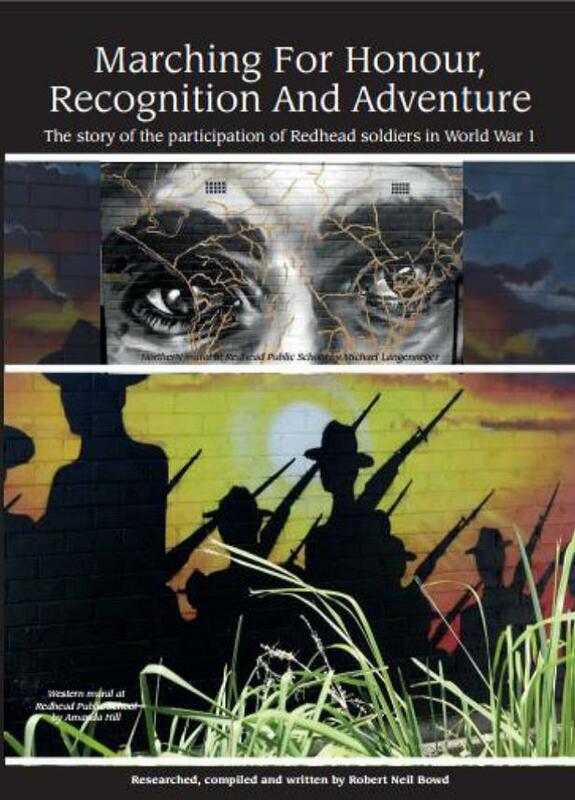 The research component of the ANZAC Centenary project has resulted in the publication of a book, "Marching for Honour, Recognition and Adventure - The story of the participation of Redhead soldiers in World War 1, by Robert Neil Bowd." Neil Bowd, a local historian has researched the stories of the people named on the Redhead World War 1 Memorial, and compiled their stories into this detailed volume. The book has a strong secondary theme: the terrible conditions and human wastage encountered by soldiers on both sides. The book will be officially launched on 9 May 2017. Copies of the book can be ordered via email at a cost price of $20. Neil Bowd who came up with the project concept, convinced others that it was a good idea and is driving the research effort. Local businesses who contributed were: Abstract Signs, Drinkwater Landscapes and Scafflink. Thanks also to the Federal Government for the ANZAC Centenary Local Grants Fund and support from local MP, Jill Hall.